It's hard to keep up with Platfrom Beer Co. these days. One of the fastest growing breweries out of Cleveland, the company already has multiple tap rooms in Ohio, including one in Cincinnati that's set to open at the end of the month. And now they've announced an expansion to Pittsburgh this summer. Opening a brewery and tasting room in Pittsburgh's Bloomfield neighborhood, this is the brewery's first tasting spot out of state. 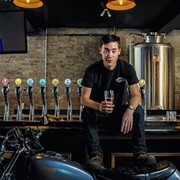 The new 8,000-square-foot location, currently being finalized, will include a 100-seat tap room, kitchen, 10-barrel brewhouse and canning facility. 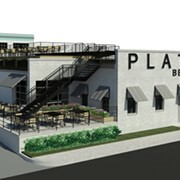 Platform also recently introduced a hard seltzer project, is currently offering a new food menu at its Cleveland tap room and is in the midst of building a wild beer/sour beer facility called Phunkenship in Cleveland. All of this and the company has only been around since 2014.